Our pricing is simple - you only pay for the features that you need. 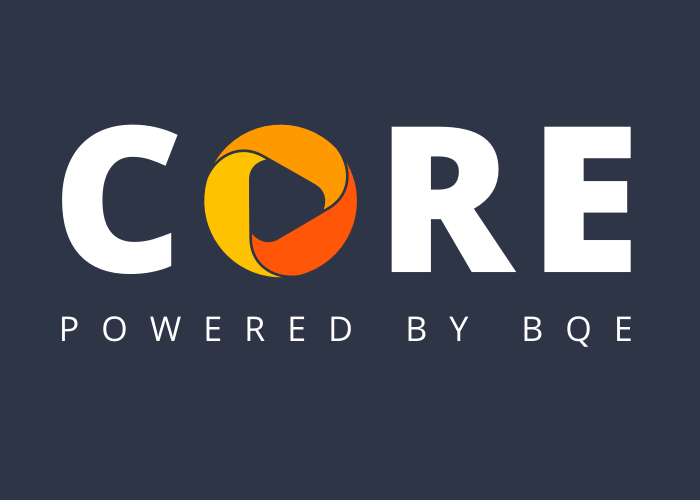 BQE Core transforms the way you run your architecture firm. Provide principals, project managers, and entire staff with the information they need. 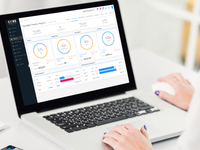 Monitor KPIs like project performance, time and expense, and profitability. Watch status of tasks by phase, track progress, and compare budgeted hours and costs vs. actual. Efficiently allocate resources with interactive Gantt charts and accurately forecast every time. Sign up for a free 15-day trial. BQE Core - Project Accounting Reviews Recently Reviewed! Pros: We feel that we have a much better ability to manage our business since we have adopted BQE core. We now have the tools necessary to analyze our projects in detail and understand which types are profitable and which need attention. The software has really helped us in other ways we did not fully expect. Once example relates to recovery of billable non labour expensive from our clients, which is something our firm has been quite terrible at historically. Cons: The workflow would be vastly improved if the system provided a control in the project screen which generated a batch invoice against the root of the project, with some default settings driven by the project rules. (e.g. for this project always generate invoice using completion percentages) or something like that. The search behaviour is brutal! I've raised this a few times with staff but no has told me why it works like this and why it can't be fixed. Just try for yourself. Punch in a project number in the main search window. The target of the search comes back instantly. But then it goes off the rails. Clicking that result leads to a mess of mostly irrelevant results. Comments: Overall, this is a good office management tool for the architect. We have used it for the past 10 years and find it invaluable in all we do in managing projects and running the business. Cons: When opening up project file, it takes 2 or 3 clicks to open up a file, such as Word, PDF and AutoCAD. Very, Very frustrating. Many of my employees do not use is function and simply use Window file manager to open and move files. We should not have to do this. It uses Java in the background for some of its operations, and I am not a fan of Java... it is always updating. Updating of the software is somewhat difficult for the person not a computer nerd. Comments: As architects, we get set in our own way of doing things and never want to change. In ArchiOffice 2013 we found a product that pretty much adapts to how we do things. Sure we changed our methods a little, but for the most part it does what we want it to. We began looking for an office management software in 2007. We realized that the old method of using a spreadsheet was making us miss lots of opportunity for reimbursements that we could have been charging clients until too late. Just recapturing these lost revenues has paid for ArchiOffice. After 6 years, the program is so comprehensive, there are modules for everything you need in an architects office. The main points are easy; project lists, contact lists, time records, billings, and a shared calendar. But dig deeper and you get time tracking per job, project phases or tasks; time records, that at entry, keep everyone informed as to project progress; intelligent records, filling in more than you really want to know about project time expenditure; RFI logging, shop drawing logging; billings, showing cash flow and work in progress; phone call records and a shared calendar; not to mention dozens of reports, and more. For example - when a project Architect is out, and an electrical shop drawing comes in, the office manager can look up the engineer in project info/contacts, and forward the submittal on the same day. Then, they can place a task on the architects to-do list, 7 days out, noting that it should be returned; and then also they can set another task for 10 days out, reminding them again that it should have been returned. We use it for document management; scanning and storing the shop drawing when it is returned. Remote access from anywhere with an Internet connection makes it easy to reach information in the field. The superintendant, without his copy of a spec or shop drawing, can remotely access it thru Archioffice. 6 years of use, and we love it. All that glowing review, and yes, it does have a few flaws. The biggest is that Syncing with Outlook is nearly a waste of time. It can be done, but it requires that you run old Java, then run parallel Outlook files. We just don't even bother. When we do have a problem, the tech support is awesome. In 2010, after a major upgrade, I think I wore out tech support for 3 months. But currently, I think I have emailed two questions in the last 3 months. Always fast and complete responses. AO2013 is mature enough of a product that problems are few and far between. I will admit, as Architect/IT guy/Managing Partner, I use every aspect of this program - not just a few areas like most of my employees. I still look at competing programs, and haven't found one that adapts to my ways as well, or is as comprehensive. Pros: I like that it handles the business platform that I need it for. It is fairly easy to use and decent value for your money. Customer support is fairly prompt in responding. Cons: A lot of Bugs and issues. I know it is fairly new software, but as a former development programmer for a major aerospace company, I would never give my user a program with so many bugs. I have to hit the enter/save multiple times, it jumps from a current phase I'm entering to one that i entered 5 phases ago.??? Not sure why it does that. Overall: My overall experience has been up and down. I have too much time and money into this software to quit now, so I'm sticking with it. One thing that really bothers me is that I find a bug, but it isn't quick in getting fixed. Customer support has been quick in responding to questions most of the time. But I don't like them telling me to watch the video. A lot of times that does not solve the problem. Also, as a former development programmer, I coded what my users wanted, not what I wanted. I don't see them reaching out to the current subscribers for their input as to what would make the software more useable/marketable. I can have changes made for a fee, but it should be, as users, what would you like to see as added features to the program. Doesn't happen, at least they have never asked me what would make the software better. The days of pleasing the customer are long gone I'm afraid, so to add features that would be beneficial to their customers is at a cost, and not part of the fees that are made monthly to them. Comments: This product saves me time and keeps all my cases organized so I never miss important deadlines or follow-up tasks. Well worth the money. Pros: 1) It has a nice look and it's easy to use because it is organized in an intuitive manner. 2) It is also incredibly customizable. There are so many ways to filter reports and adjust who sees which reports and when, it kind of blows my mind. I have done so many things to customize this software to my firm's needs and I still feel like I've just scratched the surface. This also means it will continue to be useful as my firm grows, which is incredibly valuable. 3) It's a cloud-based software, which means I never have to worry about installing the latest updates. It's also an extra bonus layer of data security because the data is not housed on my local in-office server. 4) Tracking time is easy, and once hours have been billed to the client they are marked in the system (this may seem like a pretty basic feature, but it was surprisingly difficult to find in a case management software). 5) It talks to QuickBooks online, and it's easy to transfer data. It saves a lot of time to transfer invoice and other data from the project management software directly into my accounting system. 6) The customer service and follow-up support is great. I was walked through the initial implementation, which got me up and running almost immediately - very little work time invested in the implementation. After using the software for a few weeks, I scheduled a one-on-one training session with a BQE trainer to get all my firm-specific questions answered which was great. Cons: My only (minor) complaint is that it does not yet also function as a CRM. I hope they add this feature because I'm looking forward to incorporating that data and function into the same system as my case management. Pros: ArchiOffice has definitely been useful for our firm over the past six years! We don't use all of the features that are available but the time tracking, budgeting and invoicing have been incredibly helpful for us. I used to spend a lot of time with spreadsheet updating to get accurate information on where we were in each client's budget and with ArchiOffice this is done for me and it is information I use daily. I especially like how we can see the hours to date as they are entered and how many hours we have exceeded our estimate. This information becomes valuable when we create new proposals. We have a much better handle on exactly what it is taking for us to complete each project so we can forecast with more accuracy. Also helpful has been the Performance report which gives us a real look at how each project performs financially. I would not go back to doing this all in spreadsheets! ArchiOffice has made my job much easier over the years. Another thing I appreciate is the project list which saves me from tracking that in another program. Cons: The only thing that would help us out would be to run ArchiOffice on a Mac platform. Comments: I just want to witness to the fact that everything that Engineering Office says about their wonderful support is true. A lot of companies over embellish and when you have a problem it is like pulling teeth to get some help. Not at Engineering office. They respond to phone calls and emails very quickly. The employees that they have in training and support should be the jewels in their crown. I have had the pleasure of working through frustrating problems with customer support, only to find it is some small thing and getting it fixed or training me to fix it goes quickly. Customer support representatives are FABULOUS and they have great patience and compassion for their customers. They realize that customers can't fix everything and that sometimes it is just beyond us. I learned this software quickly and came to a company that had not set it up correctly and nothing Sync'd together right. Customer support representatives held my hand and walked me through knowing that I was under a deadline. That is what is wonderful about this support team. They are human and they realize that you are human too and that things happen and they are there to guide the way, educate, and even fix the big problems. Anyone who chooses this software should realize that the Maintenance and Support fee that you pay is well worth it. Keep up the good work. It is very appreciated by your Customers. Pros: It is very easy to use and you can learn it quite quickly with help of online webinars, the help pages, and just fishing around in the menus. Very clear and concise. Cons: I wish that the SYNC process was done with a macro and I didn't have to do anything more than schedule it to go. Recommendations to other buyers: If you are a small to medium firm, use Quick Books, and want a job costing solution that it is so much easier to use than Quick Books, then Engineering Office is a great tool to use. Simple and straight forward and easy to learn. 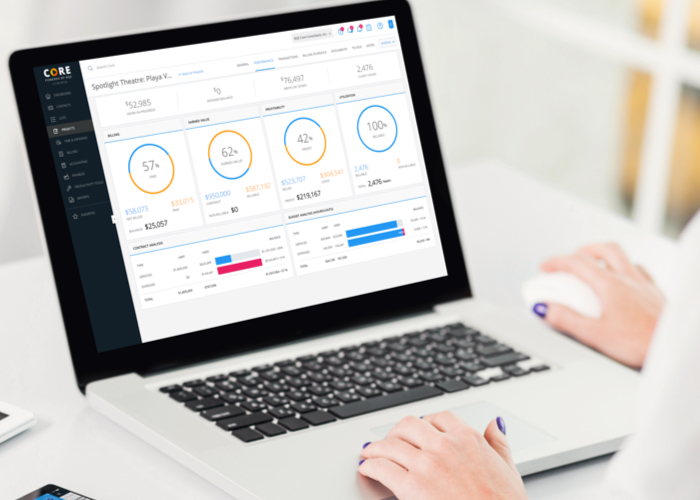 Tons of Reports and management tools for Job Progress, Accounting, Job Costing, and Budgets. There are tons of ways that you can manipulate each of the reports that are provided. The reporting is truly amazing for canned reports. You can change your criteria all over the place to design a report that best works for your needs. Cons: Improvement in Scroll & update issue - when doing batch edits to approve time, update bill rates, etc. the only items actually edited are those that load. We only have 15 employees, but a month worth of time can take a very long time to scroll through. There should be an override to load all or apply to all rather than having to scroll through hundreds of entries, loading more every 3-4 seconds. Pros: The ability for each employee to input their time/expenses is one of the features that I like the most. I also appreciate that staff members can check time and expenses for their projects to see where they are on projects with a budget. Invoicing is now streamlined because the information for the project manager's review is on one page. Budget information is on the draft invoice which makes it easy to see when a project is over/under budget, and who has coded time to the project. Cons: I wish there was a better way of archiving old vendor bills. Overall: We have been using BQE since March 2015. Prior to then, we kept all project information in QuickBooks. The staff were not able to see where they were on projects since they did not have access to QuickBooks. Currently everything that is charged to a project can be seen in real-time. Comments: The BQE company has been very responsive to suggestions and is making steady improvements. It is nice to use software that gets better over time. Pros: The product is very powerful and provides quick information about how our projects are progressing - it allows us to know precisely how we are doing financially on each project. I like how flexible it is - much more flexible than other similar software I have used over the years. I like the interface and the customer service has been really excellent - they have been very responsive when we get stuck, and there has rarely not been a solution to our problems. Cons: Sometimes the flexibility of the software makes it a little unwieldy. This software requires you to pay attention to what you are doing - because you can mess things up pretty quickly. There are times when I wish it had the ability to turn off some options - I would give up some power and flexibility to make it easier to work with. Invoice formatting needs some work. Pros: I did a pretty extensive research when I opened my own business for affordable but powerful products, I am happy with the development and evolving product line with BQE. The Core platform has such great day-to-day functionality but has made managing the company much easier to do. I typically attend the webinars that are put on and can certainly speak to how we use it from the mobile app to forecasting and allocating resources. Thank you for the review and being a part of the BQE family ! I ve sent your feedback to our product team. Pros: Core is very user friendly. We used BillQuick for over two years then switched to Core. We find Core much easier to navigate. I only use Time and Billing and again, am very pleased with the program. I learn more about it every time I call Customer Support. Cons: I think the difficulties I have are related to needing a better understanding of the program. I can't say I have anything I like least about it except for the speed. I think the slowness is due to our Wi-Fi system. Lynda, thank you for your review. We are appreciate you continuing to be a part of the BQE Family and glad to hear Core is so easy to use! Pros: The flexibility of Core is exceptional, and their technical support is top notch. 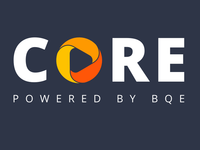 Core has helped us manage our projects and streamline our billing process, which includes 3-tier structure. Prior to Core we use to use excel to manage our multiple database. Cons: I hope Core is going to have the payroll module soon. This will help cut down the manual steps and use of multiple application. We are thrilled with your 10/10 review in how Core has helped streamline your firms billing processes. Stay tuned for more information on your payroll request! Thank you for being part of the BQE Core family! Pros: Henderson Architectural started using BillQuick in 1999, while I began using this system in mid-2002. With the assistance of BillQuick's customer support and specialized tech support, we were able to run BillQuick more efficiently and to its full capabilities for what our firm needs. In the 9 years that I have been working with BillQuick, I have established an outstanding relationship with them to the point where they know what my needs and expectations are without me having to re-state them. The software has many capabilities, along with Crystal Reports, that allows you to design or edit existing reports/invoices to your needs. I have created special invoices for specific clients, and I am able to tie these invoices to specific projects without having to worry about them printing on the wrong template. The capabilities to tie expenses, activities, employees, etc to specific projects is endless. Cons: I truly do not have any cons for this product only because if you are in need of something special, feel there should be something brought to their attention or any issues that need to be resolved, you may email them and most likely your suggestion/issue could end up in the next upgrade. Overall: Even though we do not integrate BillQuick with QuickBooks, this is an option that does sync with ease. What is nice is that you can have endless users working in this software system, independently entering their time and expenses without having issues. I have used many different software systems, and this one is quite easy to use and well worth the price. Pros: ArchiOffice is an easy way to track time both billable and non-billable and to generate client invoices. In addition, ArchiOffice is able to run specific reports to help track phases and time by individual employees. Recommendations to other buyers: I would recommend that others figure out exactly what you are looking for in a software program like this and ask specific questions of the company of whether this software program can produce the reports and/or calculates you are seeking? Pros: BQE Core's insightful dashboards and business intelligence tells us exactly how our projects are performing. The fact that I can review this important data from anywhere anytime is a huge benefit. We love the easy of use and the flow of the software.The important KPI's in Core for our projects, clients and staff help us run our business efficiently. Love the mobile phone app! Cons: Ability to customize reports would be a great addition. Thrilled to continue having you as a long time customer! We appreciate you being part of the BQE family. We have custom reporting please feel free to reach out to your rep for more information. Thank you! BillQuick is the way to go! Cons: What I used to like the least was the difference in time zone. BillQuick is on the West Coast while we are located on the East Coast. I previously had to wait until close to noon to call Tech Support. However, they resolved this issue a few years by expanding hours to start at 6:00 a.m. PST which means I can now call for support at 9:00 a.m. No more delay! Emailing your questions is also an available option. Overall: There are many facets that I love about BillQuick, it's hard to pick one. Its ease of use is high on my list along with price. We have been using BQ for almost 14 years, and I have seen great leaps and bounds since December 2002. An upgrade is released every year in which BQ tries to stuff as many improvements as they can, many requested by their customers. BQ is always looking for ways to improve, this software never remains static. Recommendations to other buyers: Compare the ease of setting up clients and projects, adding budgets, and creating invoices in BillQuick, as well as the lower cost, and you will see BQ is the way to go! Thank you for that great review, Pam! I am a small consulting engineering firm and use this for time accounting and invoicing. Additioanl features and capabilites are available as I grow into them. Pros: This is fairly intuitive for a non-programming type of user. Results have been good and reliable. Support help has been very good, both from my account rep and tech support. It is good to have backup when things get lost, and BQE has been there. I look forward to exploring other features as my needs grow. Cons: I have the basic level program and am curious about extended planning tools and features. We will see if these are as intuitive and the basic functions. BillQuick, an outstanding product for professional service firms! Cons: We work on the east coast and from time to time we have needed morning support and had to wait until support staff arrived at BQE who works in the pacific time zone. Not a major issue by any means, but still resulted is some downtime that otherwise could have been eliminated. Overall: We switched to Bill Quick at just the right time! It allowed us to respond to client demanded invoice templates and enabled us to continue to grow without adding additional back office support staff. 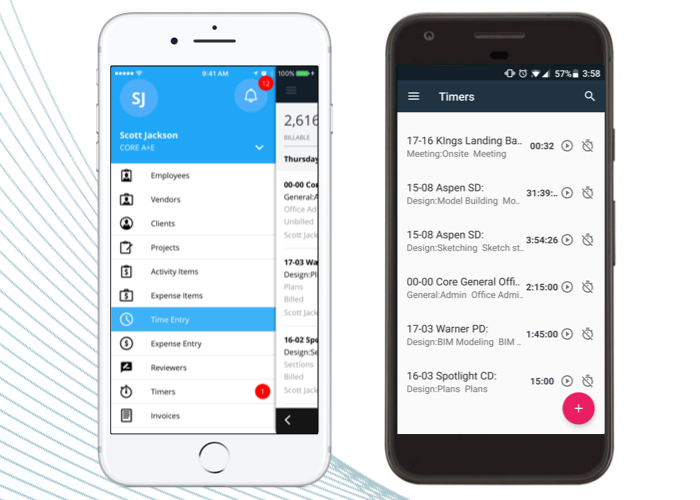 The mobile app is also great for time and expense entry and so is web suite for all our remote offices and mobile staff. Billing can be accomplished quickly with this product! Recommendations to other buyers: I highly recommend this product. We only used QuickBooks before and needed a product that would integrate and provide enhanced project management tools and project structure with multiple phases. I highly recommend the initial support and training services offered that helped us get up and running faster and with less stress. Joseph, we are glad that BillQuick has been working great for you. Thanks for the feedback. Cons: As you can tell, I like the product. BillQuick offers service/application discounts, usually for a very limited time period. Possibly these marketing efforts can be extended of existing and tech agreements users for a longer time period. It is usually easier and less expensive to sell more to an existing customer base. Overall: The product is extremely user friendly. Employees, young and senior age, have no problem using the product to accomplish their daily activities. BillQuick conducts, at no cost, frequent training sessions where participants are encouraged to learn time saving ways to use applications. Employees in their tech department have a deep knowledge of the software. Their goal is to assist in what you want the application do. Tell the tech people what you want and they will get it done. "No problem" is their attitude. BillQuick has the best product at an economical price that I have found. Recommendations to other buyers: Try it, you will like the results. Try other high price software and you will realize the solutions found in BillQuick. Comments: We have been utilizing Engineer Office since 2011 for a Civil Engineering and Survey firm. We have been happy with the refinements that BQE has put into place throughout the years to make it functional. We utilize it mostly as a timekeeping and billing complement to Quickbooks. In the last few years, we have successfully cut our time for billing down by implementing best management practices on entering data. Billing used to take a week from the closing date and now it only takes a day or two at the most. Overall the project management when it comes to billing is what we need to operate our business efficiently. Pros: The billing functions on this product are very efficient when setting up correctly. The ability to have multiple fixed fee and time and expense items on an invoice is very useful. Cons: The connection to QuickBooks can be somewhat difficult and inconsistent at times. It is best when you start fresh and have someone that understands the system. Beginners can make a mess of things if they don't understand the system. Recommendations to other buyers: Take your time setting up billing practices with your business managers and your employees. If you follow a strict pattern of input, it will save you time in the end. Make sure all your projects are set up with correct billing addresses and contact information up front for proper connection to Quickbooks. Absolutely fabulous for tracking time and doing invoices easily!!! 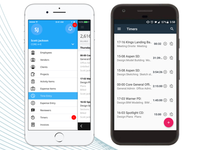 Pros: The ability to track hours easily and to do invoices easily. The options for how to handle a project a great too - hourly and stipulated sum with budget %. CUSTOMER SUPPORT is absolutely FABULOUS. Have never worked with a software vendor that gives this level of customer support; I've always had every question answered and any problems fixed right away. And when you send an e-mail asking for help, it is followed up in a timely manner. Cons: The time clock on the hours can't be adjusted to fit the situation. But, there are other free software programs that will track this and then the data can be dropped into ArchiOffice. Recommendations to other buyers: Remember it is NOT a bookkeeping/accounting system. But what if you want to making invoicing to your clients easier and faster, this is an excellent option. We went from the desktop version to the online version. It took a bit of getting used to, and now would never go back. Pros: I like the ease of use, i am an architect, not a financial type, i understand this product and am able to use it effectively. It has helped us control our billings and receiveables. I also really like the customer support, Alan Schlieper, is very good at working with me in any issues that come up. I tried to mark a 10 in the ratings below, but the survey would not allow. He is that good! Cons: I wish i could better utilize all of the services the product offers, but we are a bit entrenched in our own processes. Recommendations to other buyers: I think that evaluating software has to come from experiencing working with the software. I know that for software to be effective, it has to meet it users at their ability level. ArchiOffice is organized to work well with the way architects work. We used to have Deltek, for 25 years, i had very little understanding of how to use that software, i was therefore reliant on our office financial manager to run the analytics. Comments: Love it and definitely worth a try! Pros: We love BQE and cannot imagine running our business without BillQuick. Last year we switched to subscription and it's great to see new features that are getting added. We enjoy unlimited support. Comments: Have been using archioffice fairly frequently for the past five years. I work for two companies - an architecture firm and an owner's representative. The program makes more sense for architecture firm - as it has trouble with the fee structure that we use for the owner's representative. Customer support is great - there are a lot on online tutorials, but we pay for the Gold support package - so we have a dedicated support representative who is familiar with our programming. Since our company is small - I don't have familiarity with the batch invoicing, but on an individual input - it works great. I find it pretty intuitive to pick and start using. Overall: I like the ease of use, i am an architect, not a financial type, i understand this product and am able to use it effectively. It has helped us control our billings and receiveables. I also really like the customer support, Alan Schlieper, is very good at working with me in any issues that come up. I tried to mark a 10 in the ratings below, but the survey would not allow. He is that good! Pros: BQE is awesome it makes things so easy when entering time and billing clients. Before we got BQE we would do everything by hand, when switching over it made thing go 10 times faster. Its a great software. Cons: little glitches here and there but the customer support is so fast and responsive and the are willing to fix the software glitches. with various cases, clients, projects. There are so many reports that you can run to keep track of your spending. Able to export invoices to LEDES format. Able to import time from excel spreadsheet. Cons: It takes some time to learn the software, the tech support team was great in getting me up and running. If you want additional reports they have a custom report group but their cost is a bit high to modify reports. It looks a bit complicated but actually it is easy to use. Overall: Bill quick is a perfect solution to create invoices and be able to bill many different attorneys on different projects. I have been working with ArchiOffice since 2007. Long time user. Cons: Future projections are difficult. Being able to share budget v actual additional services is a bit complicated. I wish we could track benefit time separately from typical work hours so properly calculate efficiency. Overall: The product, when used efficiently by all staff is very useful for tracking projects, future work, time and keeping contacts and those involved in projects clear cut. - If staff is not using the software as trained it can be a bit of a hassle. Recommendations to other buyers: Through all of the versions we have used. Software based (on the server) to the current SQL version the senior support staff have been extremely helpful. They communicate what we need to complete and when we are in a bind they are always there to help. Without their support and knowledge of the product line as a whole I'm sure we would not be as efficient in trouble shooting when necessary. Thank you, Lauren for being a long-time supporter of BQE ArchiOffice. BQE is awesome. 12 years and counting! Comments: Give it a try and you won't be disappointed. We once had a confusion about the upgrade and it was amicably settled by the customer service manager. Pros: The software handles billing and time expense with great ease! There are 100s of invoice templates to choose from, as well as a report for any situation. I especially liked liked the Link to QuickBooks. Very useful. I've never had any kind of technical/ software support that was available immediately with No Wait!!! Pleasant and always Professional. Cons: The availability of 100s of reports, invoices, and other options does make the software a bit complicated for the new user. Thank goodness you can call for help! Cons: Integration with QuickBooks is not as good as they advertise, and information only flows easily one way. Also, the accounting package which cost extra has a long way to go before it comes close to the functionality of QuickBooks. The fact that it doesn't import Quickbooks reports was a major reason we don't use this add-on. Overall: The system is very comprehensive and flexible. We've got a number of divisions that each operate quite differently and BQ handles them all. In a few cases, the BQ staff have been able to work with us to provide customization that proved very helpful. Training and support is an area where BQ really shines. You can always get helpful support when you need it. We also value that the software is DCAA compliant. Recommendations to other buyers: Check compatibility with your accounting software and fully demo the program before you buy. Thanks for your feedback, Martin. Much appreciated! Comments: ArchiOffice is a useful program for architectural practices of all sizes. You should consider this software even if you are a one-person firm. Our firm has 12 employees and we use Quickbooks as our accounting software. Before ArchiOffice, we used Quickbooks for time slips and invoiced our clients directly through QB. But we could not easily track our project billing progress vs. our project budgets, much less profitability and the ability to break out our additional services. ArchiOffice 2011 is a one-stop program that contains all of our project info, contact info, and time slips in one location. It is kind of like Outlook: you open it up first thing and leave it open all day long. No longer does a project manager have to ask the bookkeeper about a client's invoice, where we stand on a project budget, or if the client is fully paid. ArchiOffice pulls the right data out of Quickbooks and puts it back in the firm Owner or project manager's hands where it belongs. Quickbooks then becomes a simple General Ledger... All of your financial and/or project reporting are available at the click of a button. This software even works remotely over the Internet, so you can run reports or enter your timesheets while away from the office. The security levels built-in also restrict the information to those who do not need access to it. We started using the program in V8 about February of 2009. We've been through AO2010 and are now using AO2011. Customer support is immediate. We have had our share of issues, but typically they were resolved in a few hours. The ones that weren't, usually were fixed in the next service release. Cons: There are no dislikes we are very satisfied with the product. Overall: We really like the software because it is really user friendly and the customer service at Bill Quick is outstanding. We were really amazed that Bill Quick was able to set us up remotely and everything was absolutely seamless. We were a little skeptical at first because we are located in Canada but that wasn't an issue at all. We also like how easy it is for Bill Quick to integrate with Quick Books. We were also very impressed with their customization of all of all our invoices and reports. Their on line web training is also very good. Everyone at Bill Quick is very knowledgeable and very helpful. Recommendations to other buyers: If anybody is using say excel to track time this product is truly amazing and I would highly recommend that they at least try it for 30 days and evaluate how easy and user friendly the product is. Pros: I called worried about our data migration dates between AO and Core and rep fixed Everything and put my mind at ease. Our transition will now be so much smoother. Feeling more positive about Core! Comments: This is only my 3rd month using the software, so my review is limited by my brief experience. With that said, I have had some challenges, but mostly because there are SO MANY ways to get data from AO, that it's hard to set the right criteria. That's where support from customer service has been a recent lifesaver!!!! Support was GREAT in getting us up and running very quickly, and covering the basics so we had no downtime in our billing, but the representative has been the BEST at helping me get through the day-to-day "Why isn't this doing what I want it too?!!" challenges. She is always quick to respond, either by e-mail or by phone/remoting-in often both. As for the actual software, I'm overall, very impressed so far. There are a few things I think could be easier to navigate, a quick link added here or there, but I'm getting used to where to find things. Regarding features and functions, most of what I've asked to get, output-wise, has brought the response, "That would be a custom report set-up." That's getting a bit frustrating to hear, but I do think this system will be very helpful - once we get all of our data entered, and we get used to using the system. Pros: I like the concept and features of this software, It helps to me to monitor the projects of my team. Very easy to use and organize. Cons: Need additional time to learned this software but it is easy to use. Billing idea is great and useful. Comments: Overall, I am satisfied with AO. There are a couple of things that are a little cumbersome like the AO/QB syncing and customizing reports but overall, AO is easy to use and it gets the job done. Pros: There are some people in your customer support that have been outstanding and very helpful such as Denise Karp and Michael Ybarra. They have been a delight to work with and is always helpful. However, there are others that has been a little hard to talk to and understand. Cons: AO/QB syncing. It would be nice to make the syncing easier esp when an error is found. Correcting the errors could get confusing to fix w/o the help from your customer support. Another con is the capabilities to customize your reports. It would be nice if we as the customer can customize our own reports such as to give us all various options to customize on our own. Also, upgrading to the next version should be easier. There are so many steps to upgrading and a step can be missed. Thank you! We are thrilled your firm is benefiting from Core and you have had a great experience with customer care. We value this feedback! Pros: Ease of use for a land surveyor that had little project management experience at the start. Pros: We started using Archioffice in 2007 in the V8 days. It was a godsend. Despite some minor glitches (it never worked with Quickbooks), the ease of use, the ability for non-computer technical staff to customize templates, and the online user guide and videos (free and easy staff training) made it perfect for a small design office. We soon transitioned all our office management and project paperwork to the system. Support was great (despite the time difference; we are in Australia). They knew their product and got us back on track with minimal stress. It was a solid product, reasonably priced, well supported, and easy to use and customiae. Cons: But then along came AO2010/2011 (a shift in technology) and the sale to BQE. The party was over. After a painful transition process to AO2011, our data was corrupted, the custom templates we had invested a lot of time setting up stopped working, Outlook sync ceased functioning, etc. The list went on and on, as did the time spent dealing with BQE support, who seemed to have no idea what this product did or how to deal with problems on the spot. They always had to refer to a senior tech somewhere else in the world. 'Wait until AO2013,' they said. 'This will be the best version yet; everything is being sorted out.' So we are trialling AO2013 (yet another shift in technology), and we are so unimpressed. There's more frustration and more time wasted on an office system that we can barely use. Recommendations to other buyers: What was an effective and affordable product has become an increasingly expensive piece of junk. We've held out long enough and spent a fortune in time trying just to make do with patches and workarounds. That's not good enough for a product that is supposed to be professional software. I'd recommend using a series of Excel sheets and Word templates over this software. It really has become that unreliable. We are going elsewhere. Comments: Our business focus is financial consulting and accounting. BillQuick was recommended to us by another accounting firm as a solution to our time-keeping problem. Prior to our instituting BQE, getting our staff to report their time was like pulling teeth! Now. . , it's done, and on time! All of our staff appreciate that the program could be customized to meet their needs and that it is easy to use. They love it. . . and that's 90% of the battle! 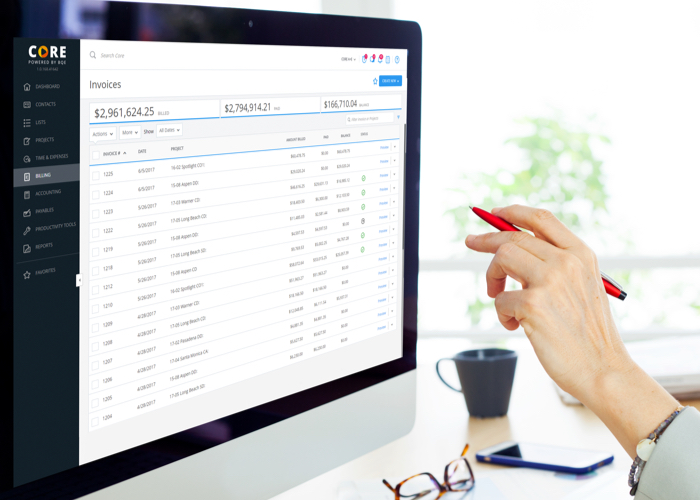 We do record our invoicing in BillQuick but find that, because of the way we bill, it can be a multi-step process that is laborious and time consuming. However, we do use it so that we can take advantage of the unlimited number of outstanding reports that the program offers. If needed, BillQuick staff will work with the customer to create a custom report that will fit any need. They are wonderful! BillQuick is a great program! It is dependable, visually appealing and user friendly because the BQE Team works with you from the beginning to customize the program to meet your needs. Any program is just a program without the team that supports its use. The BillQuick Team IS the program. In my opinion, they CAN'T BE MATCHED in customer service and support! Try the program, get the Platinum support package, and hope that you are assigned to Scott as your trainer. If that's the case. . . . you've hit the jackpot! Comments: This is one of the top business management software solutions that we've encountered. Pros: We switched over to Core after using several other project/time management and accounting programs over the past several years. Since the switch to Core, we've been very happy with the results and the ability to automatically indicate to employees when they are overbudget on projects/tasks. Cons: There is a bit of learning required on the user's parts before they know where to input time, expenses, and deliverables. Comments: Help is really fantastic in getting us up and running. Support engineer was really quick and really efficient, and I really appreciated that. Our company has been using ArchiOffice for 6 years and so far things are going smoothly. Cons: I cannot think of anything I don't like. As Steve Jobs used to say about Apple products - "it just works"! Overall: Versatility of the product, ease of use, seamless integration with Quickbooks, superior low-cost support and most importantly, the increase in revenues because time capture works so well. I have used BillQuick since 2008 and it just keeps getting better. 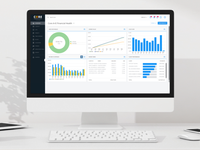 Recommendations to other buyers: Purchasers of time and billing software will find that BillQuick is unique in its breadth of capabilities while still being easy to use. I conducted an exhaustive search for time and billing software and had almost given up on finding a product that would do what I needed - luckily I persevered and found BillQuick. 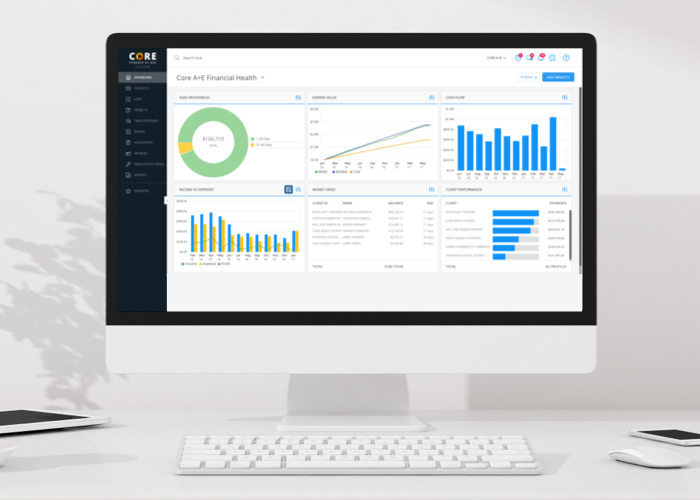 Pros: The accounting features are easy to access & use. It's lead to a much greater sense of control of our business and best yet, we can access it even from our mobile phones. Cons: Signing in multiple users can sometimes take some time to set up, but once that process is complete everything goes extremely smoothly. Pros: We have been using BQE BillQuick for 12 years and the program and support team are unmatched. Quick, efficient billing and attentive customer support. Excellent software program, has been beneficial! Cons: I can't think of anything that I do not like about this program, if there is something, you have the opportunity to voice a request or change and they will add it to the "wish-list" and try to work it into the program. Overall: Our employees are based all over the country, this program is very user friendly and their support is excellent! Any time I call for support, I am able to speak with someone immediately. If they cannot provide a quick solution, they research the issue and always come back with a resolution in a very short time frame. Recommendations to other buyers: I would suggest viewing their interactive demos and attending one of the many webinars they offer.